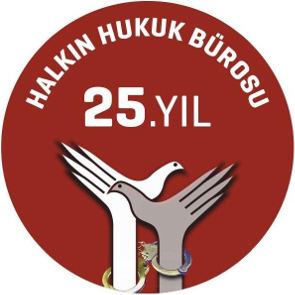 On 18, 19 and 20 March 2019, three hearings were held in the Istanbul 37th High Criminal Court in the case of 20 lawyers from the People’s Law Office, six of them currently in detention. Eighteen human rights lawyers were prosecuted on terrorism-related charges and sentenced to between three and 18 years in prison. The cases of the remaining two human rights lawyers, Oya Aslan and Günay Dağ, remain open due to their absence from all three hearings. On 18 March 2019, the Chief Justice opened the hearing by stating that the judges would hear the final statements of the defendants and announce the final verdict thereafter. The defence of the human rights lawyers objected by arguing that the case had not yet arrived at the defence phase. The defence further argued that according to the interim decision made by the court on 7 December 2018, the defendants had been given time until the hearing which was scheduled for 18 March 2019 to submit their demands regarding an extension to the scope of the prosecution as well as their responses to the statements made by the witnesses. The court initially rejected these objections, stating that they constituted an attempt at prolonging the legal proceedings. However, the defence lawyers insisted that they had the right to raise all issues related to the accusations during the hearings as well as to discuss their requests submitted to the court between the two hearings. Further, they argued that the court was obliged to at least hear all their requests and statements before pronouncing the final judgement. In reaction to the insistence of the lawyers, the court allowed them to respond to the statements made by the witnesses, and then changed its decision again in the middle of the hearing to only allow for a discussion on the requests regarding the extension of the prosecution. While the defence lawyers drew attention to the irregularities in the legal proceedings and the importance of impartiality and fair trial standards, they received warnings from the court for “objecting to court decisions”, “using accusatory language towards the judges” and “speaking without permission”. The court closed the hearing by announcing that there was nothing left to discuss regarding the accusations, and asked the defendants to prepare their defence for the next day.